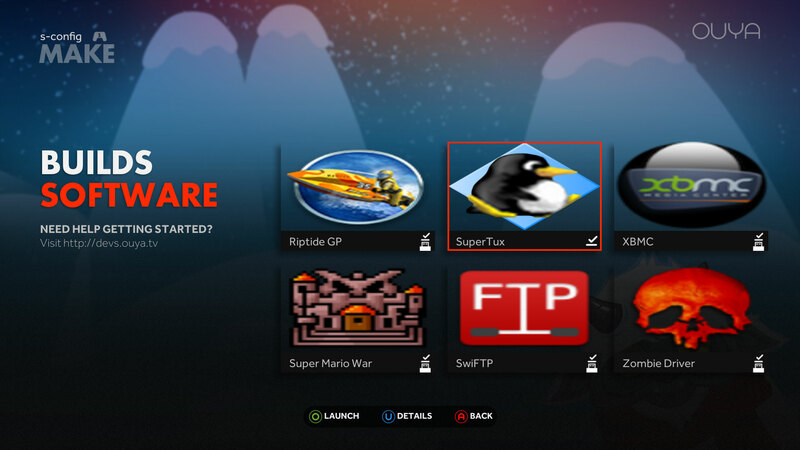 SuperTux on Ouya – How to Configure it. 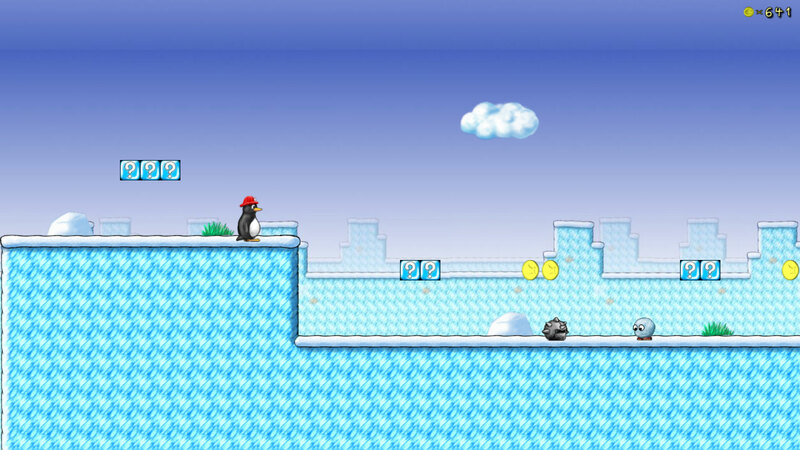 SuperTux has been a long standing game on the linux which emulated a classic nintendo game “Super Mario Brothers” and gave it it’s own open source images and control system. With the help of the libsdl port for android. SuperTux can now be played on the Ouya as well! This documentation will go step-by-step on how to re-configure your controls for this game from the generic pad-joystick that is for android over to the Ouya controller! 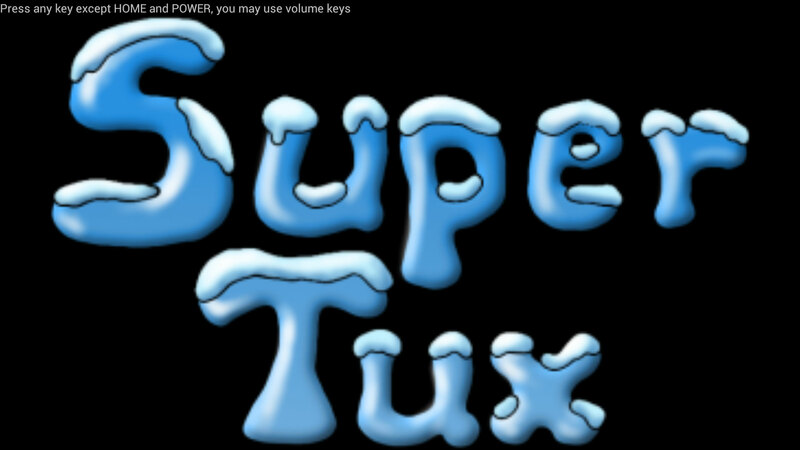 Click here to be taken to the sourceforge directory were the SuperTux APK resides. SideLoad your APK into your Ouya, the simplest way is by launching the browser and navigating to the “Click here for the APK download of SuperTux”. Select the version you want. It will automaticly download and from there you can install it in your ‘advanced’ and ‘system tools’ section of your Ouya. 2. when you launch your SuperTux APK from the “MAKE” folder and let it install all of its data files. 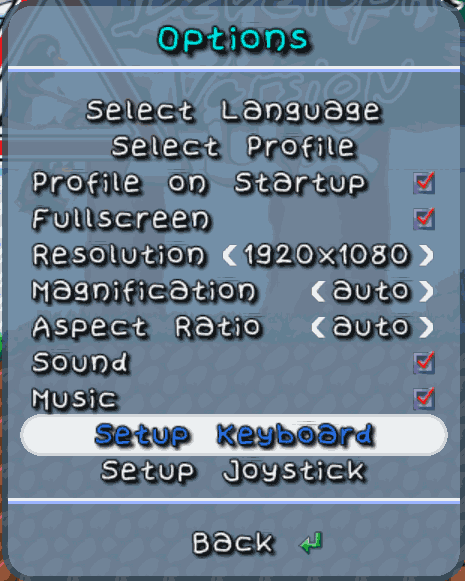 You will see a window up top that says “Change device configuration.” With your mousepad on your Ouya controller; Double-tap that button on top and you will get a menu listing like the one below. 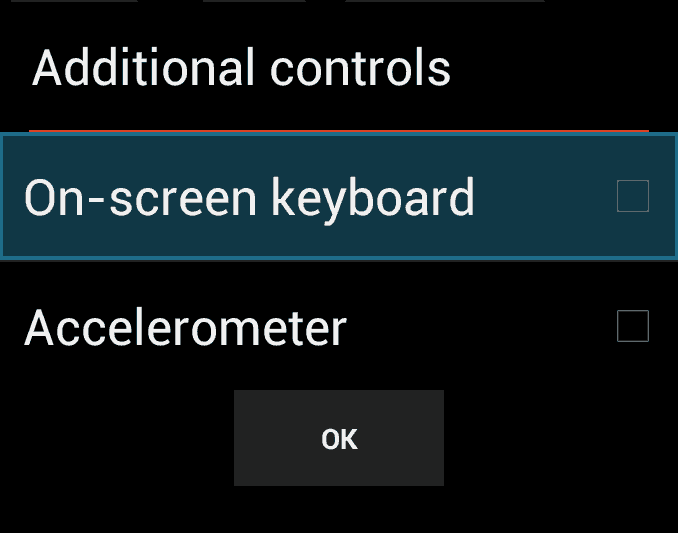 Disable the On-screen keyboard. We are using our controller and are not going to use touchscreen support. Also removes those annoying icons that overlay on top of the typical android game. This should be selected by default. But in case you are not getting any controls on your Ouya. 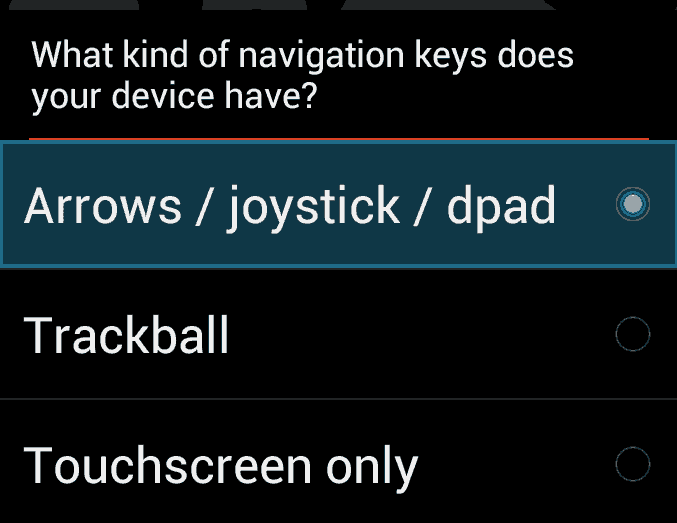 Then select Arrows / joystick / dpad as the default option. Ouya control system for SuperTux. 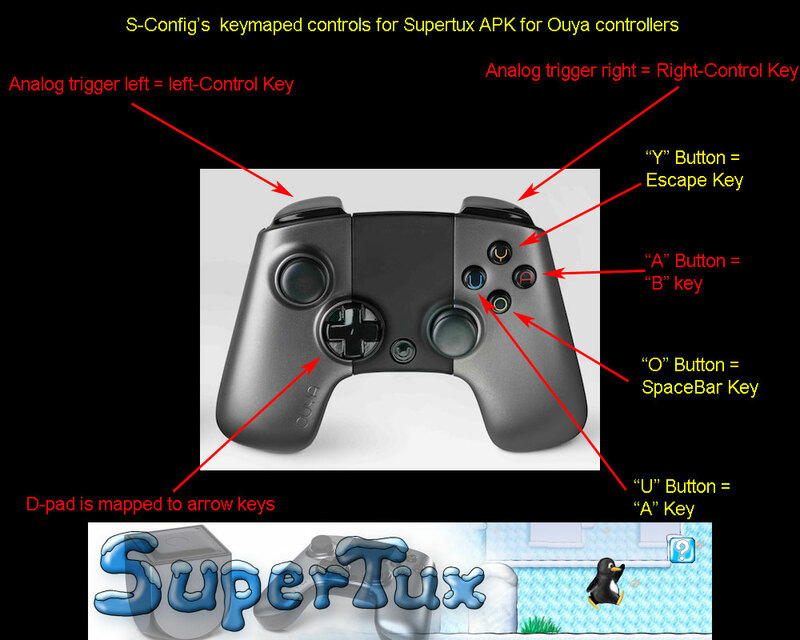 We’re going to correct one of the keys starting with the “Y” button on your Ouya Controller for SuperTux. We’re going to mape this to Escape key so that you can actually back out of your game and save your progress instead of loosing all of your progress when you double-tab your Ouya Key. 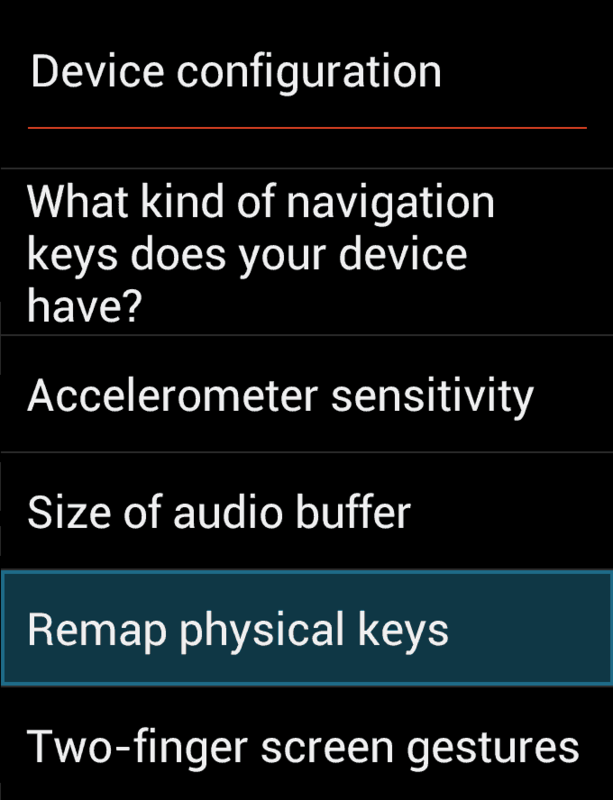 Click Remap physical keys. Press the “Y” button to begin remapping this key. 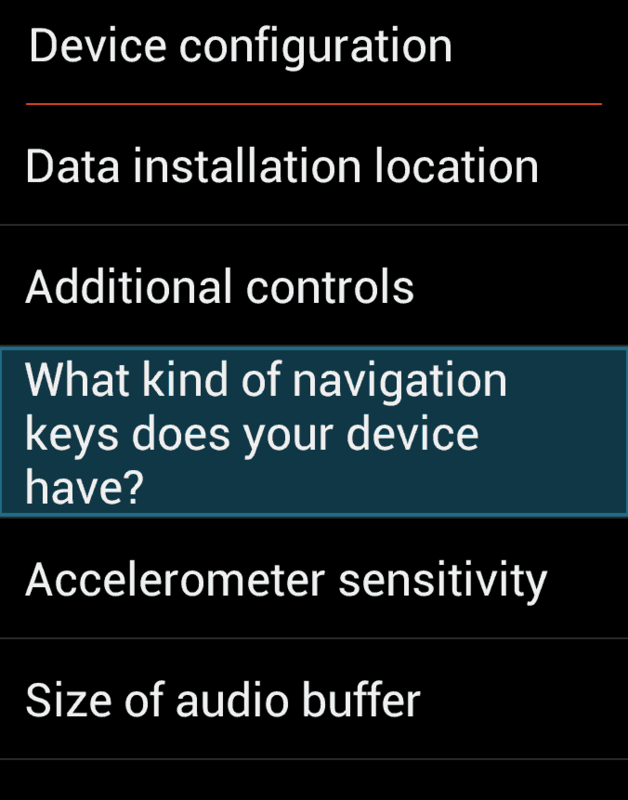 Key mapping is in alphabetical order. 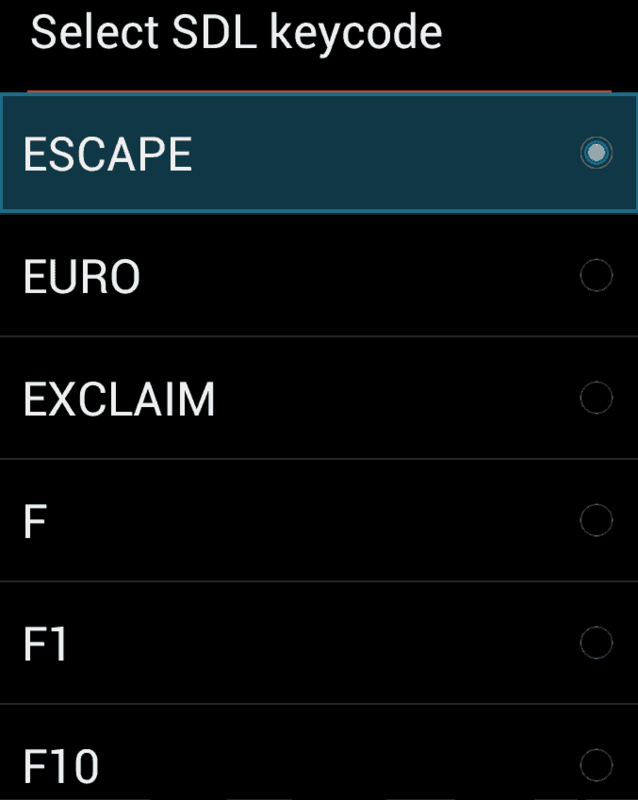 Simply screen to find the Escape key and select it for your “Y” Button. Repeat the process for the “O” button and “U” button until your control system is something like the picture above. After this we are ready to go into the game and configure the key mapped controls in-game. 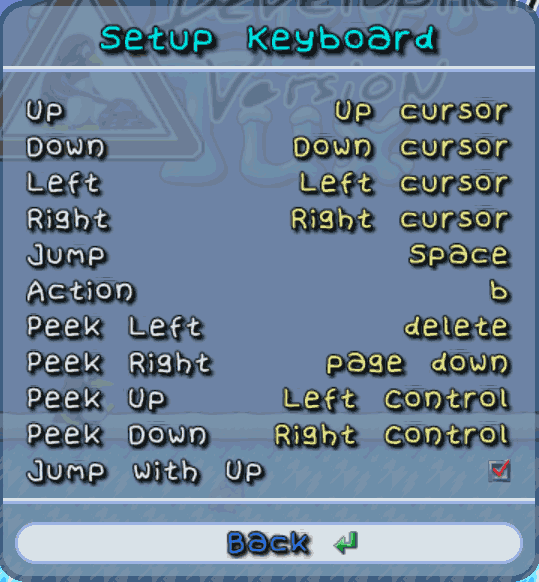 You are now ready to launch the game and map the keyboard controls within the game itself. When you get into the game press the “U” button to bring up the menu and arrow down to Setup Keyboard. 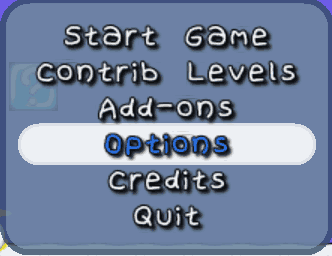 the image above is the default layout for SuperTux which will not work for us. 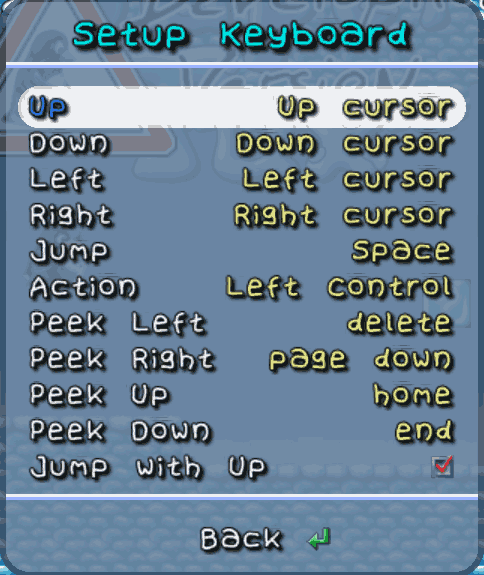 This is the default control scheme for SuperTux. We’re going to change that. Here is my keyboard mapping. I decided to give myself the traditional nintendo controls with the “O” button for jumping the “A” button for running and flower power action. and the analog trigger buttons for looking up and down. 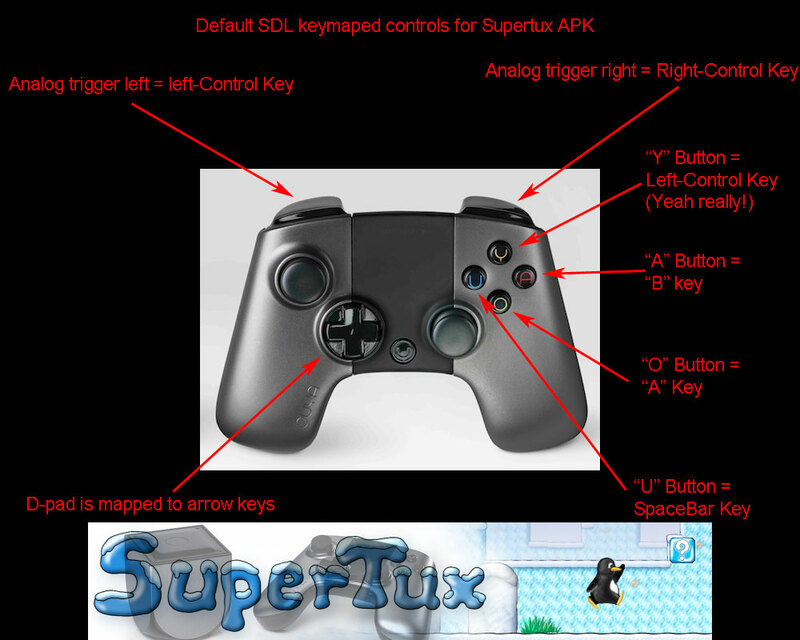 This completes the quick tutorial on how to setup SuperTux to work with the Ouya Controller. 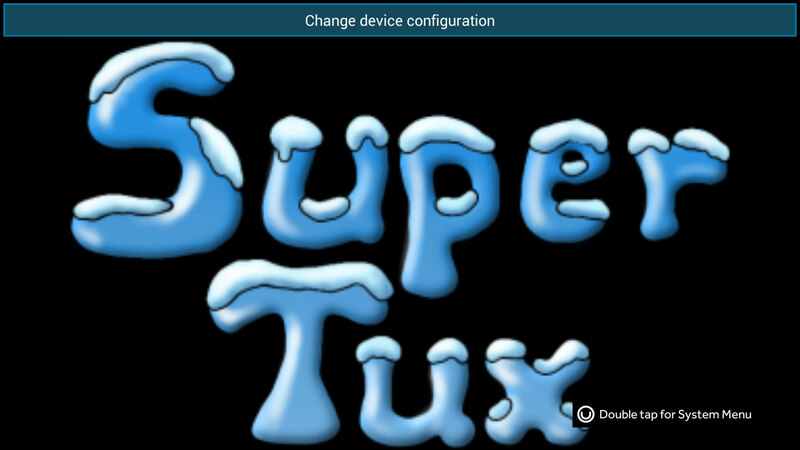 I know this is just a development release of SuperTux for the Android OS so I can’t expect to have every feature enabled.I’d of course like to see SuperTux utilize GLES for it’s levels like its linux counterpart which I think would make the graphics go very smooth! Also analog joystick support would be nice too.